In a country where pubs have a special places in people’s hearts and have risen to the rank of cultural institutions, it is unsurprising to say the least that the oldest known pub is spoken about with a tone very near reverence. 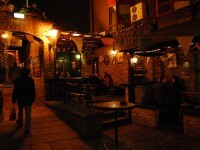 The Brazen Head is a Dublin institution, that much is certain, and has been so for centuries on end. The Brazen Head has been a tavern since 1198, and considering that it has been in business for over 800 years, we can easily assume that it is one of the best pubs in Ireland as well. So whenever you’re in Dublin and you feel like you need a break, get a few hours of time out at the Brazen Head – the oldest pub in Ireland. The Brazen Head was founded in 1198 as a tavern just outside the walls of Dublin City, and somehow managed to survive through plagues, famines, wars and revolutions until this day. Not much is known about the history of the Brazen Head, except that it was a tavern and then later on a coach house. 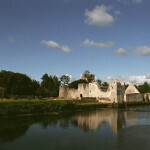 Although the current pub is located on the site of the much earlier tavern and it might have retained its name as well, it’s unlikely that any part of the original structure survived. However, records show that the pub definitely existed already in the 17th century and the historical atmosphere is unmistakable. 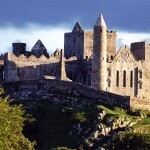 The pub served illustrious figures like Robert Emmet, Daniel O’Connell, Jonathan Swift, James Joyce and many others. In fact, even today the pub is frequented by famous people like Van Morrisson for example! Irish classics like Guinness, Bailey’s and various other national brands feature on the menu of the Brazen Head, as well as a large selection of other drinks. 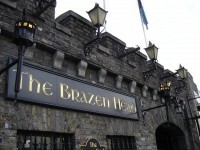 If you are just starting to get to know Irish drinks, the Brazen Head is a great place for an introduction. However, this pub is an excellent place to discover Irish cuisine too. If you just want some simple pub grub, you can get that too, but it would be a shame not to take advantage of the pub’s award winning restaurant where you can get hearty dishes like beef and Guinness stew, Irish stew, cod in beer batter and Irish mussels. No Irish pub is complete without live music, and the Brazen Head has plenty to offer in this respect. There is love music at the pub every night, and bands like Rafferty, The Rye River Band and The Brazen Hussies have become beloved weekend regulars. The most popular music event is the Sunday live session starting at 3:30, where even the customers can sing a tune or two if they feel like it!